The University Secretariat has now had the opportunity to summarize findings of the report of the Governance Review Panel, which was emailed to members of the Board of Governors and Senate and publicized on Feb. 24, 2017. As expected, they also identified opportunities to enhance some governance practices and also to help members of the university community clearly understand responsibilities and division of authority of the Board of Governors and Senate. In creating this distillation, the Secretariat has taken the opportunity to suggest responses to some of the more straightforward issues identified. We have also included some preliminary next steps for Board and Senate. The panel members reviewed this list and have affirmed that the distillation below is a fair and accurate summary of the main points of the report. The length and detail of supporting documents and presentations. The presentation and format of the agenda package. The role of committees versus the main body. Handling of operational activities identified in the work plan. Number and length of meetings. It is suggested that Senate review start and end times and agenda management to address the fluctuating workload of Senate over the course of an academic year. Members of the university community are aware of upcoming open meetings and the opportunity to attend. Members of the university community and governing bodies receive clear summaries after each Senate and Board meeting of business conducted in open session. Establish greater diversity of members and improved understanding of diversity and inclusion among members of both governing bodies. Recommended short-term approaches for both governing bodies are: (i) inclusion of diversity and equity matters as part of the orientations; and (ii) inclusion of diversity and equity criteria in the nominating committees of both governing bodies. Reducing the number of committees. Reviewing the size and composition of each committee to optimize representation and alignment of expertise. Clarifying the mandate of each committee. Reviewing the role and attendance of support staff. Considering where technology may assist in more efficient engagement. Reviewing how technology can better enable meetings in a multi-campus environment. Develop orientation sessions and educational opportunities to highlight upcoming and immediate issues, roles and responsibilities of members/chairs, as well as fundamental principles and practices of university governance. Undertake a comprehensive review as well as a process for on-going reviews of bylaws to ensure they meet best practice and support strong governance. In particular, bylaws regarding conflict of interest and in-camera meetings require attention. After careful consideration of the size and composition of the governing bodies, the rationale for requested amendments, and the potential risks of opening the university’s governing legislation, the Panel does not recommend asking the provincial government to change the size or composition of the governing bodies. That the Executive and Governance Committee of the Board of Governors review key findings of the report and bring recommendations to the Board regarding their priority/sequence and steps toward implementation. 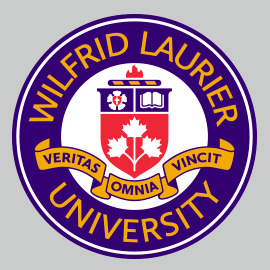 Include in orientations (or other applicable fora) an opportunity for Board members to learn about the role of academic freedom in the academy, including policies and procedures applicable to Laurier. That the Executive Committee of Senate review key findings of the report and bring recommendations to Senate regarding their priority/sequence and steps toward implementation. Focus on increasing the level of meaningful engagement in order to improve academic governance, rather than opening up the Act to increase the size or change the composition of Senate. Create reference documents that summarize the appropriate rules of order and procedures for use by senators. Reviews should consider how best to distinguish roles and responsibilities of the various committees from each other and the broader governing roles of the Senate and Board. Consider an annual survey to support continuous improvement, similar to the Board of Governors annual survey. That the University Secretariat be effectively empowered and resourced to guide and facilitate implementation of specific initiatives that derive from the recommendations of this governance report.